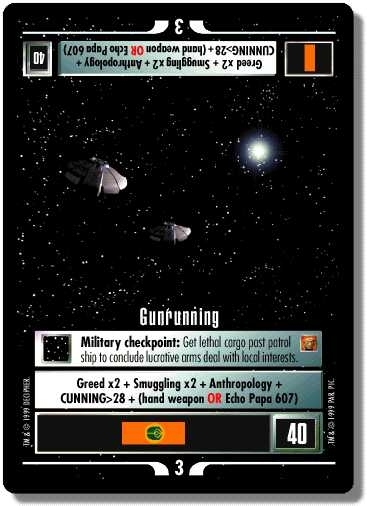 Military checkpoint: Get lethal cargo past patrol ship to conclude lucrative arms deal with local interests. There are 22 entries for Gunrunning (ST1E 8 U 47) at the Tradeplace (57 haves and 3 wants). Click here to see all trade list entries for this Uncommon card!